When I was a kid, annual trips to the UK usually meant a visit to the local shopping centre. Despite there being dozens of retail chains that weren’t accessible to us throughout the rest of the year, HMV was the only one that ever interested me, so much so that it became a family tradition to drop me off there. Left to my own devices, I would happily spend hours browsing the 2 for £10 deals in the music section, searching for the best haul I could find before going home feeling absolutely chuffed with my choices. It’s a real part of what nurtured my love of music in the first place; it’s why being offered a job there several months ago as part of an amazing team of people felt like a mini dream come true. The news that HMV was entering administration for the second time since 2013 therefore hit home in more ways than one. 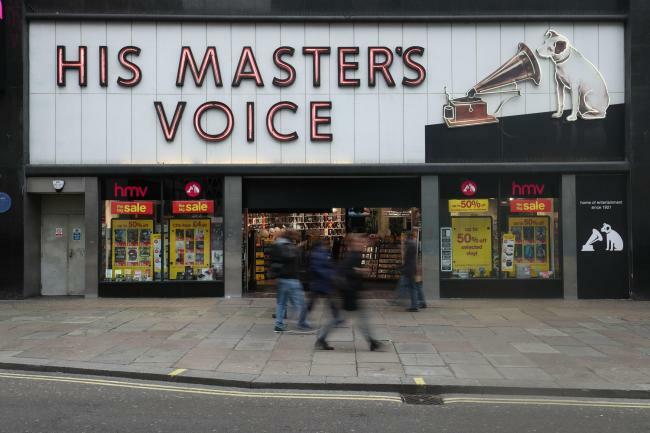 Much has already been said about the various challenges facing high streets in general, but one factor keeps popping up for HMV in particular: is it simply a failure to keep up with the times? Let’s face it, things have changed. While living in an age of streaming services and downloads may not be a novel concept in itself, the subsequent decline of physical sales just goes to show how radically different our ways of enjoying entertainment have become. Of course, there are plenty of positives to this shift. Online shopping saves time and effort and can be very practical in that sense, especially for those among us with disabilities. Apple Music also allows you to buy singles without having to spend more on entire albums, meanwhile Spotify algorithms have you covered when it comes to discovering new music. Best of all, it’s all at your fingertips. So where does this leave HMV? Well, with music, films, games, technology and merchandise all under one roof, you might say that it’s a convenient place to do all your last-minute Christmas shopping. Or you might go further and argue that besides catering to a minority of nostalgic fanatics, it may as well be declared redundant. Who actually buy CDs or DVDs anymore, amirite? People still do, though. Customers often come in with the intention of buying a specific item only to end up treating themselves to a whole selection of things, leaving with the same giddy look on their faces that’s all too familiar. Maybe it’s the anticipatory joy that comes from having a wee browse. Maybe it’s the satisfaction of owning a physical copy of something that you picked out for yourself. Maybe it’s precisely because you invested time and effort to find the songs you wanted. Either way, there’s an overall experience that goes with shopping in stores that gives your material purchase that extra little bit of meaning. It’s also surprising that more hasn’t been mentioned about the fact that HMV frequently hosts in-store signing events across its 125 branches. Glasgow’s Argyle St hosted acts like The Fratellis, Chvrches, Simple Minds, Amy MacDonald and KT Tunstall last year alone, to name but a few. Unless you’re willing to pay for expensive VIP meet and greet packages, when else do you ever really get the chance to meet your favourite artists in such a casual setting? Events like these give you the chance to have an experience that stays with you – the kind you can’t put a price on. Funnily enough, it was actually during my second time meeting KT Tunstall at a signing that she summed it up perfectly by describing HMV as a library, because it’s true – walk into any store, and you’re immediately surrounded by a wealth of history. It’s not just the older crowd, either. Whether it’s timeless classics like Fleetwood Mac’s ‘Rumours’, Ariana Grande’s latest album or the soundtrack to Guardians of the Galaxy, young people are regularly buying vinyl records. If you ever needed proof that some things come back into style, that’s it right there. Granted, physical forms of media may be less popular these days, but there’s still a demand for them all the same – that’s where the old and the new meet in perfect harmony. At the end of the day, change isn’t necessarily a bad thing, and people will no doubt continue to share the things they love – Soundcloud, Bandcamp and Spotify are all brilliant platforms for doing just that. But to assume that online services can replace the physical realm of music in every aspect is to miss out on the bigger picture. Ultimately, what HMV offers is the personal touch. It’s getting to share your knowledge and engage in conversation with others, even if it’s just for a fleeting moment in your day. It’s feeling connected to like-minded individuals and the music you’re passionate about in the most tangible way possible. For that, HMV remains an alternative in its own right and deserves to stay for more years to come.